Located in Shinjuku, this hotel is within a 5-minute walk of The Tokyo Metropolitan Government and Shinjuku Central Park. New National Theatre Tokyo and Tokyo Opera City Concert Hall are also within 15 minutes. Nishi-shinjuku-gochome Station is 7 minutes by foot and Tochomae Station is 8 minutes. 2 restaurants, 2 bars/lounges and a coffee shop/café are available at this smoke-free hotel. WiFi in public areas is free. Other amenities include a meeting room, laundry facilities and a 24-hour front desk. All 408 rooms boast deep soaking bathtubs, and offer free WiFi and flat-screen TVs. Fridges, down duvets and hairdryers are among the other amenities available to guests. Dining is available at one of the hotel's 2 restaurants, and guests can grab a coffee at the coffee shop/café. Guests can unwind with a drink at one of the hotel's 2 bars/lounges. Wireless Internet access is complimentary. This Art Deco hotel also offers multilingual staff, laundry facilities and a lift. A total renovation of this property was completed in August 2018. 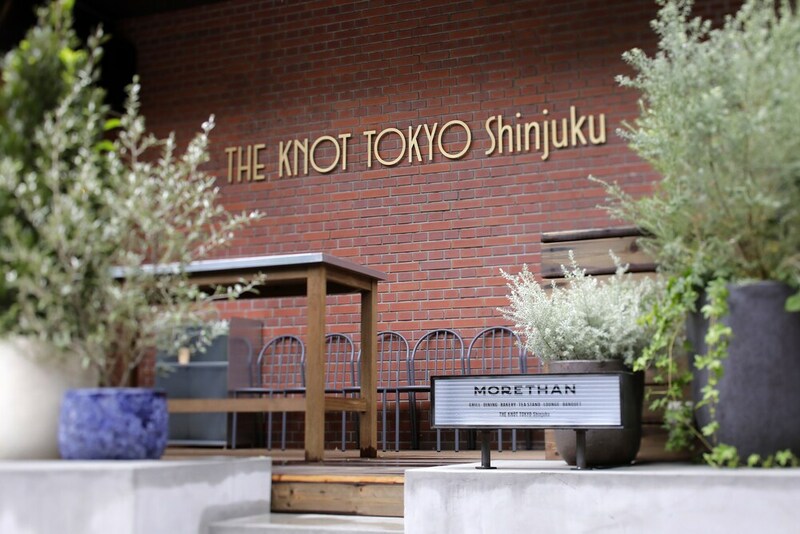 THE KNOT TOKYO Shinjuku is a smoke-free property. MORETHAN TAPAS LOUNGE – This restaurant specialises in Spanish cuisine and serves breakfast, lunch and dinner. Guests can enjoy drinks at the bar. Open daily. MORETHAN GRILL – This restaurant specialises in Italian cuisine and serves lunch and dinner. Guests can enjoy drinks at the bar. Open daily. This property does not provide in-room climate control. Central air-conditioning is provided throughout the property. One child aged 5 years old or younger stays for free when occupying the parent or guardian's room, using existing bedding. Only registered guests are allowed in the guest rooms. The Japanese Ministry of Health, Labour and Welfare requires all international visitors to submit their passport number and nationality when registering at any lodging facility (inns, hotels, motels, etc.). Additionally, accommodation proprietors are required to photocopy passports for all registering guests and keep the photocopy on file.